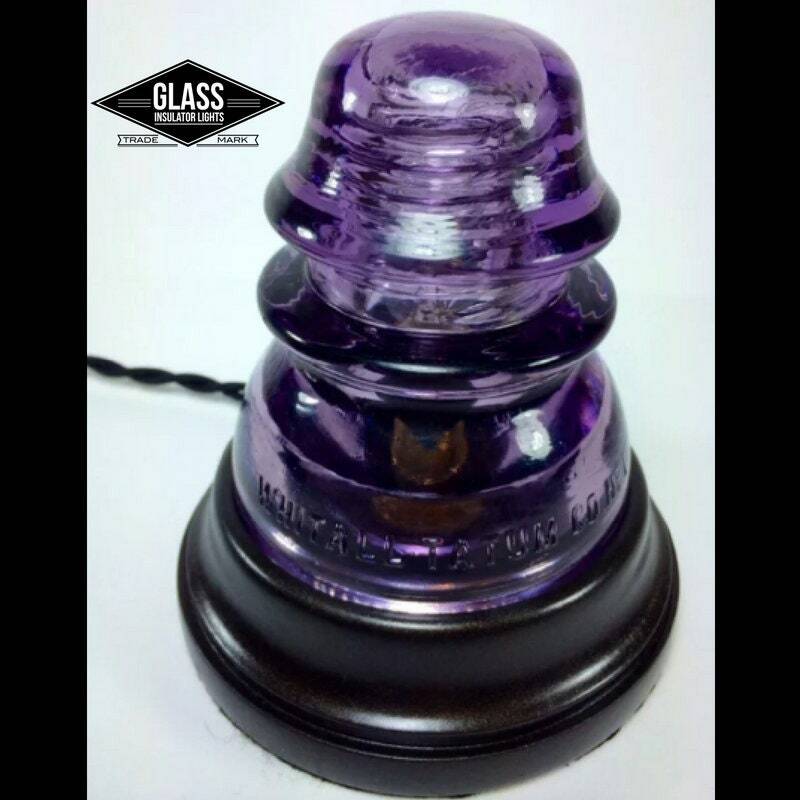 This beautiful purple antique Glass Insulator Lamp is an elegant remembrance of early America and functional upcycle decor. A Whitall Tatum No. 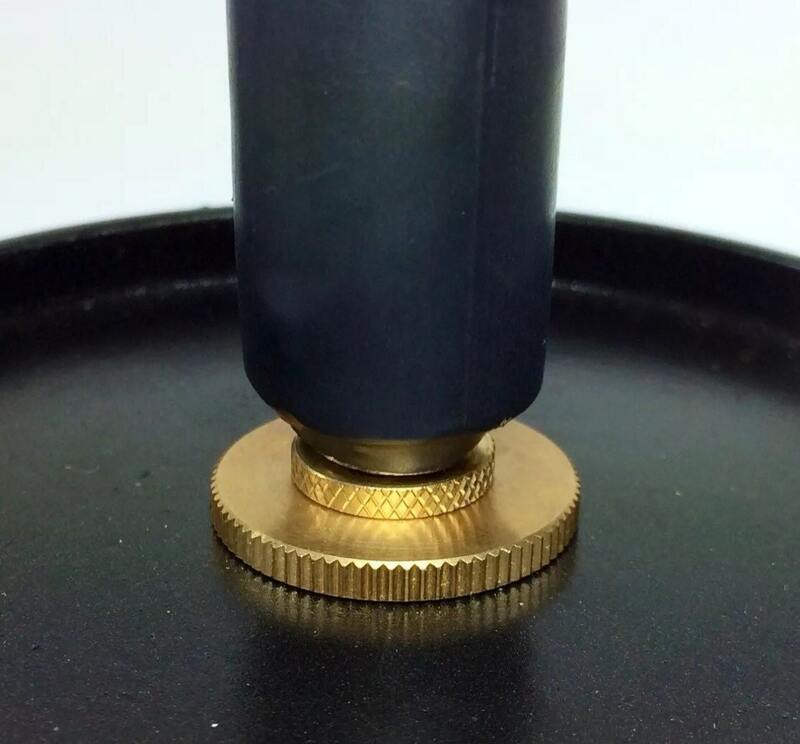 1 insulator rest on a wooden 3 3/4 inch base with an oil rubbed bronze finish. Constructed with NEW UL Listed lamp parts: Porcelain Socket, Vintage style Leviton On/Off Switch, Vintage Style Plug and Vintage Style Cloth Covered Wire. 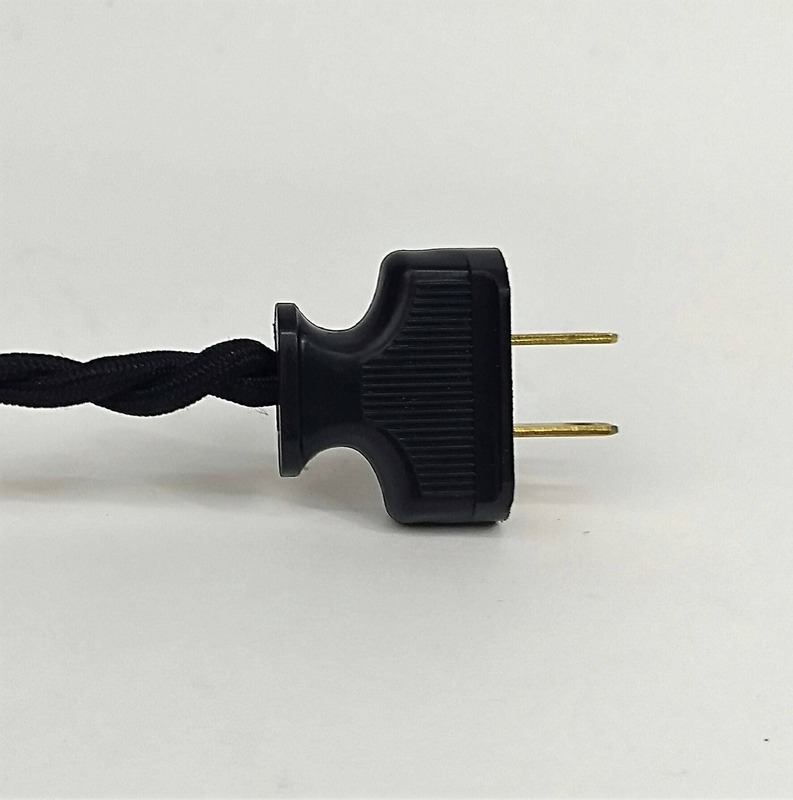 (extra long 8 foot cord). Handmade from a vintage glass insulator and NEW UL Listed parts. • New - UL Listed Porcelain Socket (45 Watts Max). 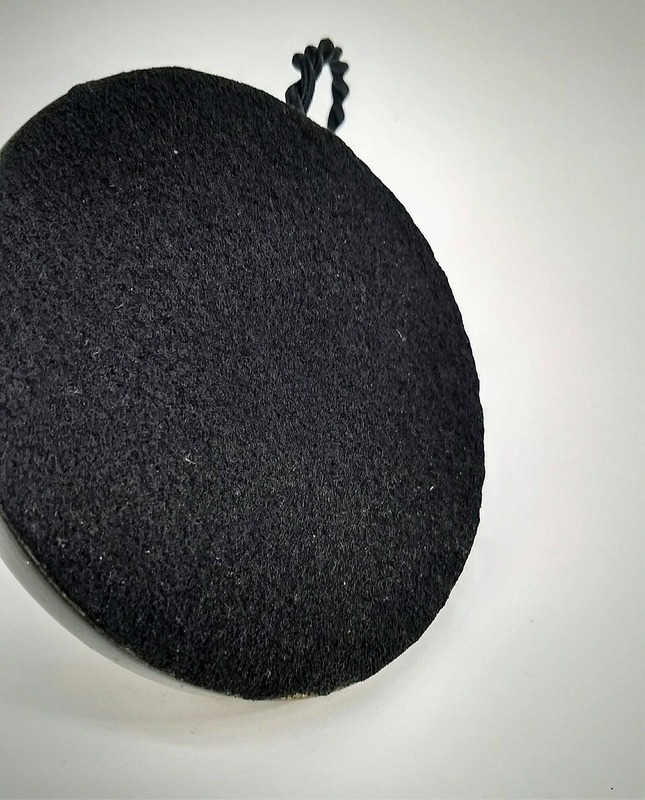 • Felt Covered Base to protect from scratches. 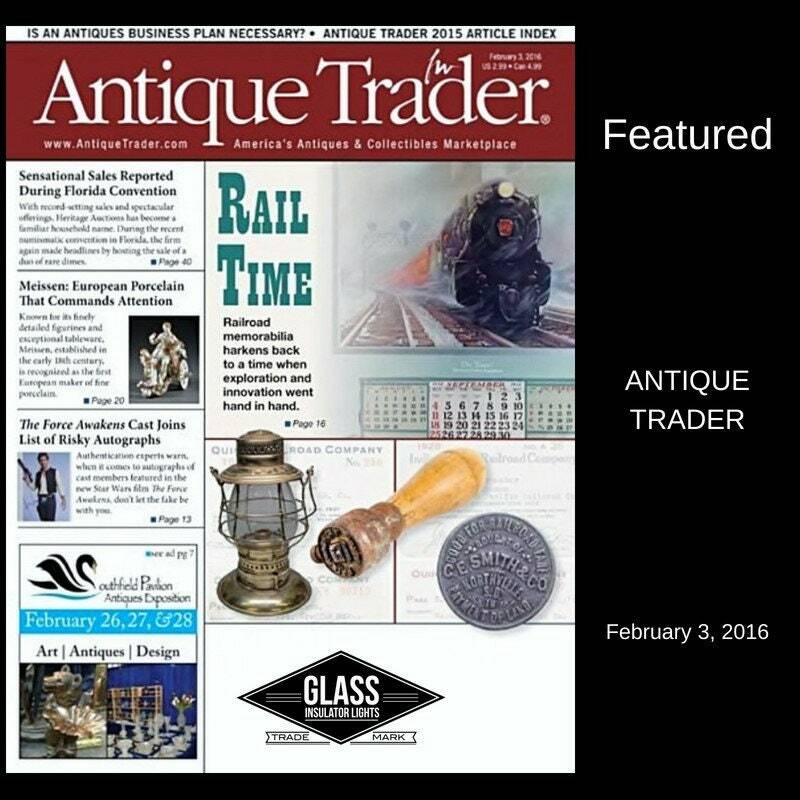 Own a real piece of history with this beautiful LED Glass Insulator Lamp! 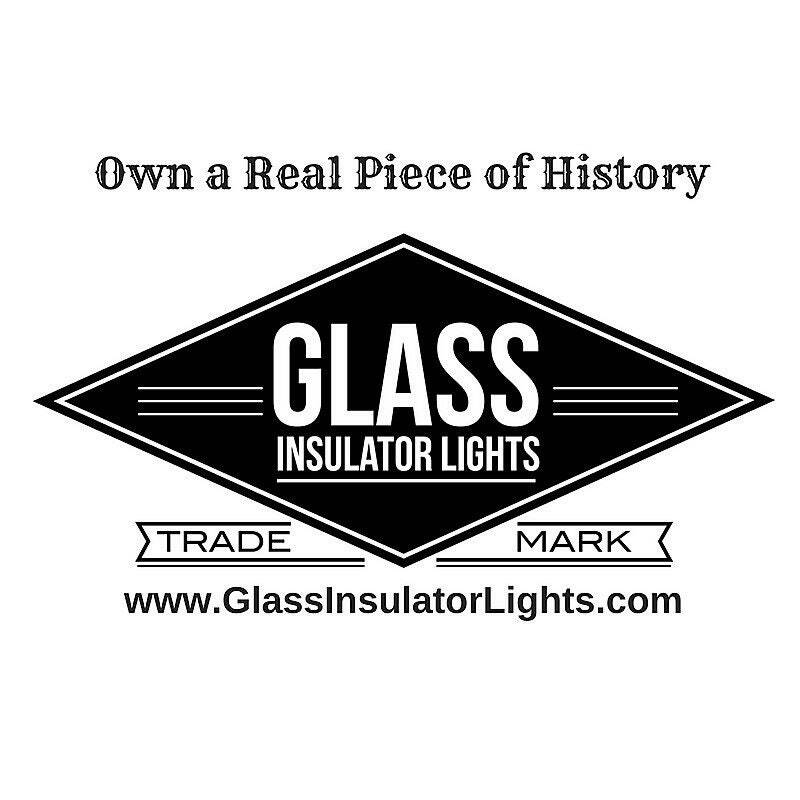 To fulfill your order, you must provide Glass Insulator Lights with certain information (which you authorized Etsy to provide to me), such as your name, email address, postal address, payment information, and the details of the product that you’re ordering. 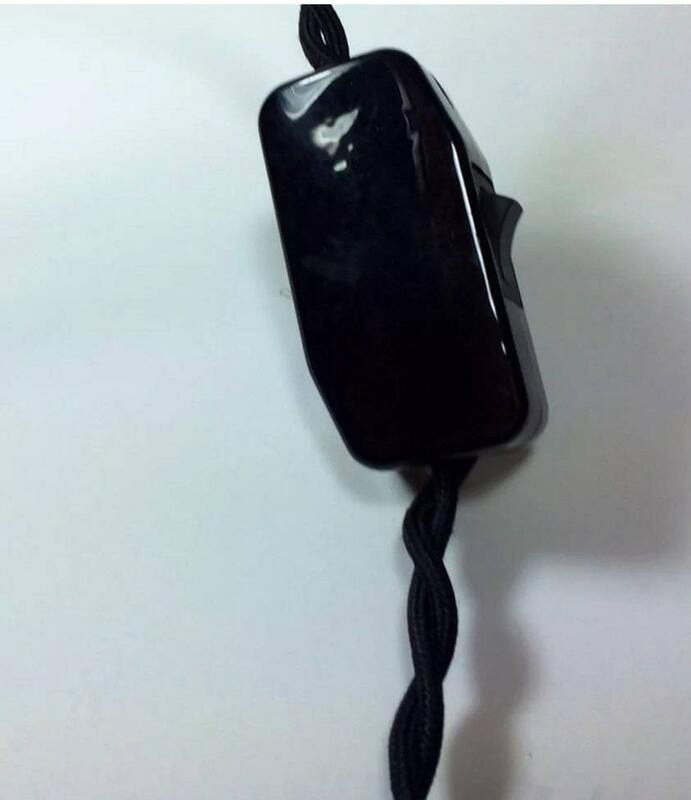 You may also choose to provide Glass Insulator Lights with additional personal information (for a custom order, for example), if you contact us thru www.GlassInsulatorLights.com, email or phone. • Service providers. I engage certain trusted third parties to perform functions and provide services to my shop, such as delivery companies. We share your personal information with these third parties, but only to the extent necessary to perform these services. • Business transfers. If we sell or merge our business, I may disclose your information as part of that transaction, only to the extent permitted by law. • Compliance with laws. We may collect, use, retain, and share your information if I have a good faith belief that it is reasonably necessary to: (a) respond to legal process or to government requests; (b) enforce my agreements, terms and policies; (c) prevent, investigate, and address fraud and other illegal activity, security, or technical issues; or (d) protect the rights, property, and safety of my customers, or others. We may store and process your information through third-party hosting services in the US and other jurisdictions. As a result, we may transfer your personal information to a jurisdiction with different data protection and government surveillance laws than your jurisdiction. If deemed to transfer information about you outside of the EU, we rely on Privacy Shield as the legal basis for the transfer. • Object. You can object to (i) our processing of some of your information based on my legitimate interests and (ii) receiving marketing messages from us after providing your express consent to receive them. In such cases, we will delete your personal information unless we have compelling and legitimate grounds to continue using that information or if it is needed for legal reasons. 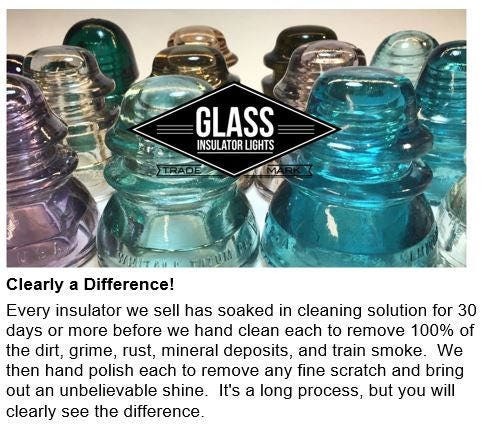 Glass Insulator Lights is happy to handcraft any insulator lighting or home decor ideas you may have. We stock thousands of glass insulators, lamp parts and a large variety of cloth covered wire, so the possibilities are endless. Just message us with the details and we will contact you back. What if an item is damaged in shipping? 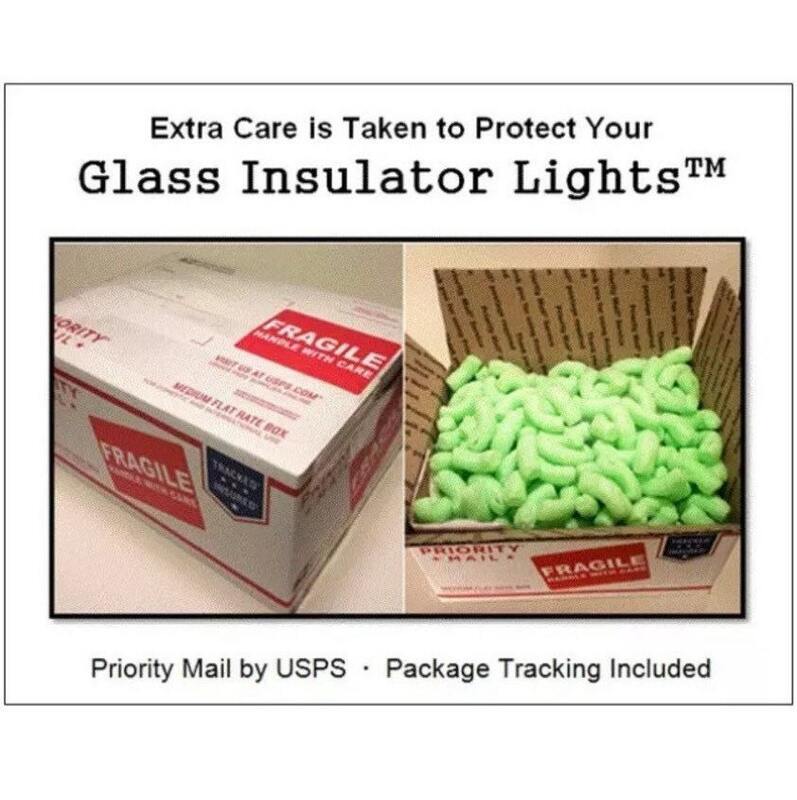 Glass Insulator Lights makes every effort to ensure that your purchase arrives safely, but occasionally shipping damage does occur. If your purchase is damaged during shipment don’t worry, we will replace it at no charge and as fast as possible. Simply take pictures of the shipping damage and the packaging, then send them to us thru Etsy’s messaging service. We will contact you back with an estimated replacement date. Keep your purchase and all packaging because, additional pictures and returning the product may be required by the insurance company. It’s just that SIMPLE! Yes! 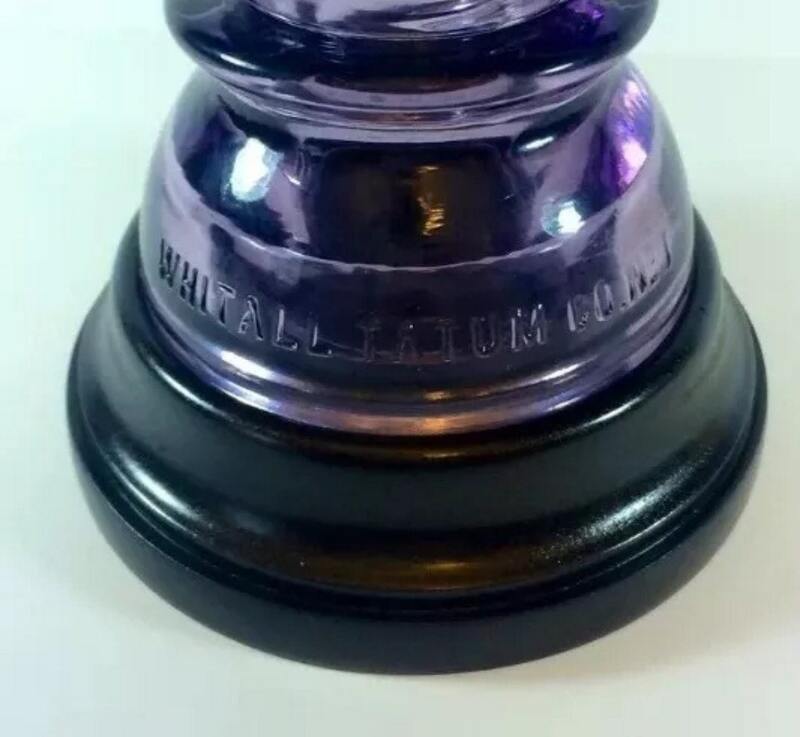 We offer wholesale pricing on most of our products and on our Design Your Own Line. If you would like more information on our Wholesale Program or our Design Your Own Line, please contact us on Etsy. Yes! We calculate the cost for you to save you on shipping charges. Contact us for more information.